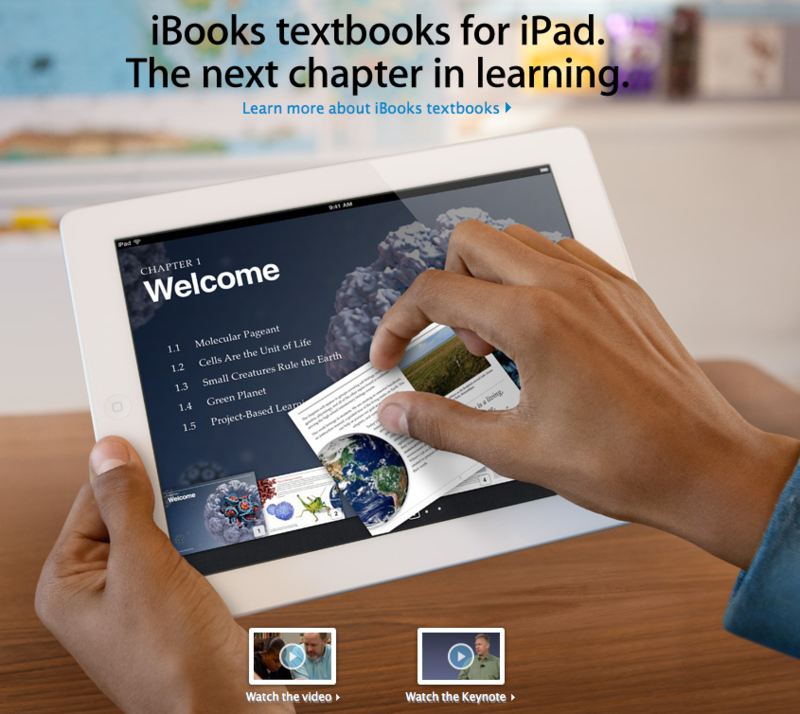 I’m very excited about the iBooks 2 roll out with textbooks. I’ve been hoping for something like this since the Kindle came out. I see infinite implications for education, particularly. Wealthier districts are already providing each student with a laptop or netbook; it’s get on the ball so each student in the country can have one, or watch students in lower income districts get left behind. I don’t think it needs to be the sleek Apple product we think of as the iPad. I imagine something partway between a Kindle and an iPad: an electronic book reader, with wifi capability, and the ability to make notes and view multimedia. Microphone and speaker are necessary. It will need a text/email function, too. Oh, and a graphing calculator, so we don’t have to buy those anymore. Optional keyboard. GPS locator and auto-lock for if it’s lost or stolen. First-generation Kindles cost $80 (and the Kindle Fire, close to what I’m describing, is brand new and $200). I bet in five years, you can buy an educational iPad-type product for $100 per student plus licenses and data plans (the school buys a bulk license for the textbook in public school; the student buys their own in higher education). If you’re outfitting each student with a new stack of textbooks in each class at $60 a pop, you’re saving money. Textbooks, like all non-fiction books, would have in-text popup citations (with a link to the cited work for sale, should you want to add it to your library). New information, corrections, and editions can simply be downloaded as an update. Don’t recognize a word? A popup glossary defines the word for you. Tapping an icon saves the word and its definition to a list for you to study as a list or in a flashcard application. Think of something as you’re reading? Tap the side of the screen to pull up your notes on the chapter and add your thoughts. Save all your notes on the chapter as a study guide, or email them to yourself/your friend/ your teacher. Tap to print. Tap to send a note (or all in the chapter) to your teacher via email as a question (or as a homework assignment). Tap to send a note as a post to the class discussion board. Tap another part of the screen to read the class discussion board. Enter your notes via keyboard or using a stylus to write in your own handwriting. Or, use the voice recorder to make and transcribe notes. And use text-to-speech to read the text of the book or your notes to you (imagine the implications for special education students, and for commuting students in secondary ed and beyond). During class, make notes in a notebook feature, rather than carting those around too. Save, email, and print your notes as pdfs. Use your stylus to doodle in the margins. I can’t take notes otherwise. At certain places, an icon might invite you to view a video clip or hear an audio file. This might be anything from a scene in a movie adaptation (say, “To Kill a Mockingbird.” How does the courtroom scene differ in the book and film interpretations? Why? ), to a video demonstration of a chemistry experiment illustrating its formula, to a tutorial of how to solve a math problem, to a map or model, to a recording your teacher made. What was that? Yes, the educator could add custom notes, recordings, or video clips, viewable to only the students in her class, or on his team. Teachers could also use the book’s review questions as homework assignments (and the students could fill in their answers directly where they appear and then email or print the worksheet), or write their own questions in place of the provided ones. Educators all using the same textbooks might be invited to share their questions in a forum, and pick an choose their favorite questions to build custom assignments. Educators on teams can link chapters, review questions, and study guides between one another to facilitate interdisciplinary units. In class, the teacher might be able to “take control” of the digital readers in the room, so that they all “open” to page 24 at once, or everyone views the same multimedia clip on the smartboard at the front of the room. Using questions or notes emailed to her, the educator can lead the discussion, or prompt students to raise the questions they thought of (and made note of) while reading. As excited as I get about the potential applications for education, I drag my feet a little around fiction books. This is just a personal preference, I think, although overall I’ve been slow to embrace technology in entertainment compared to the speed with which I’ve embraced it for productivity. Only very recently (with the purchase of my iPhone 3GS), have I gotten fully on board with mp3s (and they’re not really mp3s anymore!). I *like* my shiny CDs. And don’t tell me you’re going to take my DVDs in their pretty packaging away and give me a mega-terabyte hard drive with digital copies of all my movies searchable by title, actor, genre, and keyword! Oh the horrors. I like to read books. Paper books. I like the way they smell. I like the way they feel. I like that I can go to the library and get them for free for a little bit and then give them back (although, what if the *library* bought a digital copy of the book and then I checked it out and it was pushed wirelessly to my e-reader for two weeks and then I had to pay to renew it if I wasn’t done…). Even given the massive amount of moving I do and the huge pain it is to pack and unpack books, I wouldn’t trade them. If you offered to replace all of my books with ebooks and a kindle, I would take you up on it *for my professional library* (minus a few gems), but not for my personal library. I have a connection to books in print that I don’t have with their e-counterparts. All that said, as I was flipping for the millionth time from the text of A Dance With Dragons (George R.R. Martin) to the back to figure out who a character was in the house lineup, and then to a map to see where they were from, I thought how easy it would be to have character names linked to their lineage, house names linked to their banner or motto, place names pop up with their location on the map, and words in foreign language offer their translation (or a recording with their pronunciation). Could I have the option of locking the book so I can’t skim ahead (or unlocking it so I can if I want to– or searching a name and only reading the parts about Tyrion…)? Oh, even my fiction has footnotes! And then when it comes to producing and publishing books we are in a new world. This is where the publishers will revolt– just as the music industry did back when we all remembered what Napster was. Because what if an author could write a book, and imbed whatever media s/he wished, and then have that material reviewed and formatted by an editor and e-publisher, and then directly distributed to e-bookstores? No mass paper production. No shipping. Production costs so low we could sell books for fractions of the cost and yet authors could keep five times the income they do. I, as consumer, could pay you, as author, for the artwork you have made, the goods you have produced. Not the paper, not the cover, not the shipping– just the story or the research or the philosophy. I could pay you whatever that seems to be worth, and you could keep it (minus editing and formatting/production). I value your work, and you value my reading experience. Kind of like Louis CK’s pay-to-view comedy special, only (typically) without so much swearing. As I said on facebook, I want in on the brainstorming about this. Oh, the possibilities! … but words– oh the awesome power of words– words can cause me to hate and fear and kill. 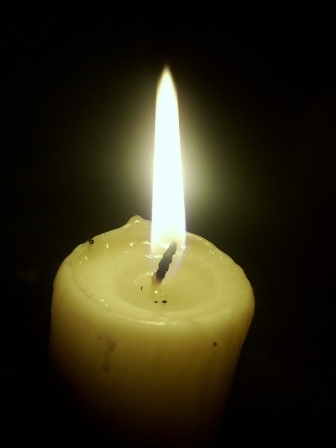 Reflecting today about the shooting at the Unitarian Universalist Church in Knoxville, TN. A virtual friend of mine, Terry, points out that we often tolerate hateful and violent words by people in the media in our country, claiming that because it’s ‘satire’ or ‘commentary’ that it is harmless. And we all know this, especially those of us who, one way or another, devote our lives to the awesome power of words. I bet my job, my vocation, my ministry, my spiritual journey, in many ways my very life on the transformative power of the word (and The Word), for good or for evil. If words are toothless, then what is preaching? what is reading? what was the Sermon on the Mount? No, words are not weak. Words create meaning, and community, and vision, and worldview, and context. 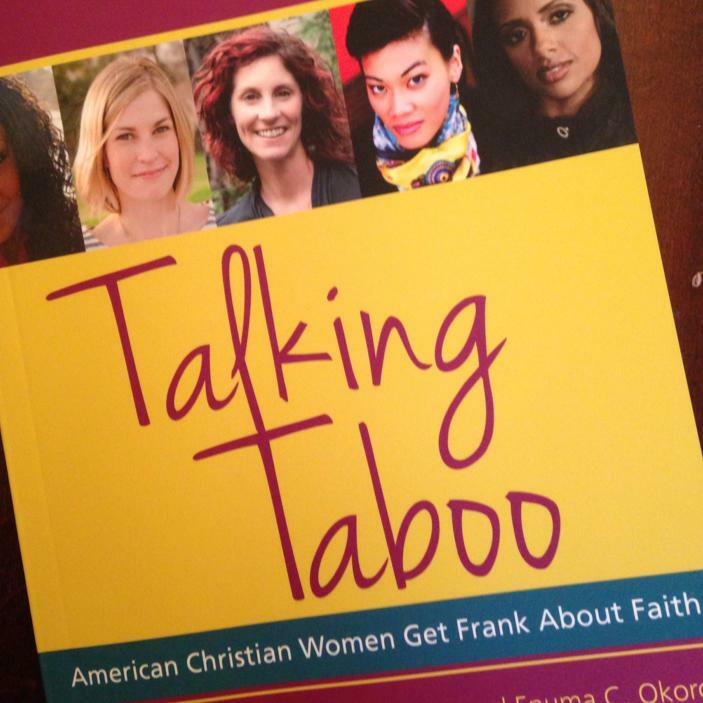 Words inform behavior, and can shape that behavior to be life-giving and compassionate, or fear-filled and violent. Words can inspire, like King’s I have a dream and, sadly, like Hitler’s rallying speeches. Words, spoken, preached, downloaded, written, published, read, can create the reality in which one operates, and can shape that reality as a peaceable kin-dom, or a civilization threatened by liberals, upon whom one must take revenge, with a baseball bat (as recommended by Ann Coulter) or a shotgun. In the midst of the power of words– words of welcome and love spoken by a congregation, and words of condemnation and distrust, written by media personalities and interpreted by a twisted and broken mind– an act of violence erupted in a community, killing two and wounding seven. Those wishing to express words of blessing and hope and healing for the Tennessee Valley UUA can do so at a webpage set up for that purpose. Nope. I really can’t tell. Please note: there is no way on God’s green earth that linking to this site is in any way an endorsement. One of my friends told me about this site, and I spent a lot of time clicking through it. It’s called “You’ve Been Left Behind,” youvebeenleftbehind.com, and here’s the thing: I can’t tell if it’s legitimate or not. So here’s what they say they’ll do: they’ll give you some encrypted storage space and some non-encrypted space and up to 62 email addresses you can store. You upload documents or chose from their sample ones (which I haven’t been able to see), and they’ll hold onto them for you. For just $40 for the first year (and the re-subscription price will ‘go down as more people subscribe’), this website will store your documents, and then, send them to the specified emails after you have been raptured. That’s right. So you can tell your friends how to get saved before it’s really really too late. So you can tell your enemies haha i told you so. So you can email the Pope and see if the Catholics really did get Left Behind like Tim LaHaye always claims they will. How will they do this? If their team of five couples of Christians doesn’t log in for three consecutive days, it’ll apparently trip some sort of fail-safe and send emails three days later (assuming no one resets the system, or the antichrist doesn’t destroy the internet). You can log in and pay through PayPal. But I didn’t. My friends and I tried entering information from a dummy account, but the site was smart enough to know the account was outdated. That lends a shred of credence to it. Well, at least to the fact that they actually are taking people’s money. But I really want to know. Are these people for real? Because it also sounds like a really devious way to swindle fearful folks out of $40/year. Bad (or non-existent) theology aside, I’m not sure that anyone deserves that. On the other hand, Rapture-oriented theory (which, I must stress, has no basis in either the Bible or Christian theological history) is one that preys on people’s deepest fears: fears about death and pain and being the slightest bit wrong about the nature of the Divine. This just adds one more layer of fear– fear about your loved ones. And so it attempts to take advantage of people’s fears to make a buck. LaHaye’s been doing that (somehow!) for years. Okay, ‘fess up. 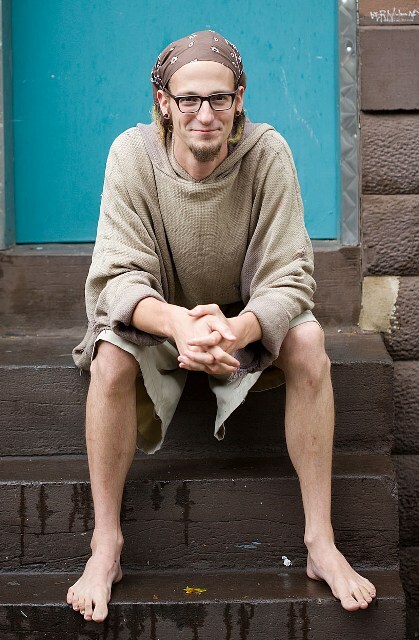 Is there anyone out there who doesn’t have at least the teeniest crush on Shane Claiborne? Male, female, queer, straight or bi, is there anyone who doesn’t want to either be Shane or be near Shane? Because I’ll admit, I’ve got it bad for this grungy Jesus freak! Lookit the glasses! Gotta love the glasses. Not to mention that little smirk. In case you haven’t guessed, I’m reading Jesus for President. I read Irresistible Revolution over a year ago, then again with a book study group at my church, who promptly launched a mission project to change our small town. It’s a powerful book. I was initially a bit bored with Jesus for President. It has a lot of history to it, stuff that I learned in seminary and I might have skipped over it, but the pages just look so spiffy and the way Shane puts words together is so much fun. That’s his thing. Often it’s not that he’s saying something new or radical or revolutionary or that I haven’t heard before, but he’s putting words and ideas together in a way I haven’t heard before. This book, which he co-authored with Chris Haw, is far more historical and theological than Revolution, but even the history I know so well gets a fresh look in their excellent writing. Oh, and I should clarify. This isn’t a book review; I’m only a third of the way through. And yet, nearly every other page is dog-eared already (just like Revolution! ), and I’ve already decided that this book, and Yoder’s Politics of Jesus, and a few others are going to form my new pulpit-side must-have section. Since I’ll be preaching in and around a state capital for the next five to seven years at least (I hope! ), I’m loving these reminders of how radical and political Jesus’ words were and are. Shane and Chris had a great take on the yoke, which I read this morning, just a few days too late and dollars too short for my sermon on Sunday, but it would have been so much better (you see, I really should spend more time reading for, um, fun!) than what I preached. Fortunately, they have a great passage on the sower and the seeds, again nothing I’ve not heard before, but new ways of putting ideas together that I can totally mine for this Sunday. And I cannot wait to preach about Legion. Yowza! Mm-mm! Bring on the radical, political, gritty hippie preachin’! Let’s hear from the Shane-lovers. Speak up! But nothing we didn’t already know. Nearly half of Americans have switched religious affiliation/denomination. Oh, and that’s not good news for the UMC. The question, of course, is how to balance death and resurrection, crucifixion and vindication in fifty five minutes once a year. Good luck with that.